Welcome to Australia. 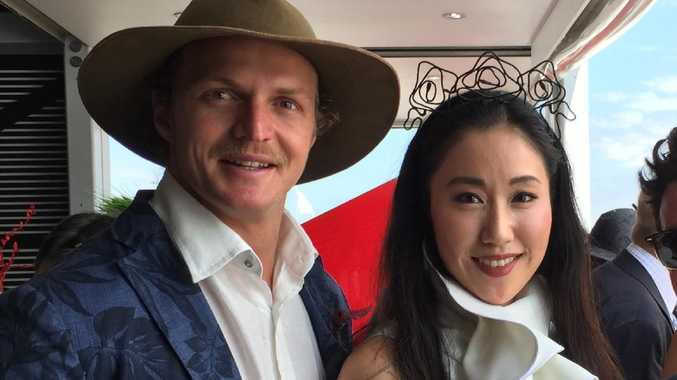 It’s likely “Jamie” Qianqian Wu (right) probably hadn’t met Nick “Honey Badger” Cummins (left) before the Melbourne Cup last month. At the Melbourne Cup last month, there were plenty of famous faces downing champagne while draped in expensive threads. However, one face was new. She was dressed to the nines, in an elegant number from Australian designer Toni Maticevski yet she probably passed most people by. Few TV cameras bothered to focus on her. But that didn't matter for fashion trendsetter "Jamie" Qianqian Wu. The audience she was trying to reach wasn't in Sydney or Melbourne, it was Shanghai and Macau, Beijing and Nanjing. 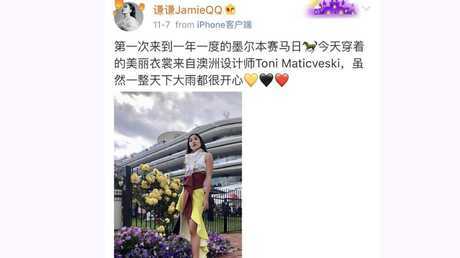 One post from her from the Flemington track on Chinese social media network Weibo reached hundreds of thousands of people in China. She's part of a new push by Australian brands to break into the multi-billion dollar Chinese market. “Jamie” Qianqian Wu's Weibo post from the Melbourne Cup. It's a sea change in efforts to cosy up to the Chinese consumer, she said. "A lot of Western brands come into China and have no real understanding of China. There's a hint of arrogance for sure, and supremacy. "There were days when you could just stick Nicole Kidman's face on something and it would mean a lot, but not now. Now you need a Chinese face," she told news.com.au. Ms Wu said Australian brands run the risk of repeating the same mistakes that have, at best, led companies to expensively fail in their Chinese expansions or, at worst, suffer humiliating boycotts. That's something Italian fashion house Dolce & Gabbana is in the throes off after a misguided ad campaign went disastrously awry last month. Managing director of media company MGI Entertainment, that brought Ms Qianqian to Australia, said influencers were a more economical way for Australian brands to raise their profile in China: "Ms Qianqian's reach is setting the trend in China for a shift to contemporary fashion consumption. Western brands really haven't begun to scratch the surface of the Chinese social media influencer, particularly with platforms such as Weibo (and) We Chat which remain the dominant players in China". Ms Qianqian made her first foray into the spotlight in the late 2000s when she was part of the team behind Hamilton House, one of Shanghai's must dine eateries. A place where Chinese stars went to see and be seen. She then began working with Yue-Sai Kan., a TV host and one of China's most famous figures whose eponymous cosmetics lines is owned by France's L'Oréal. Eventually, Ms Qianqian turned to fashion blogging and now divides her time between Shanghai and Singapore and any number of global catwalks in between. "As much as I don't like the term influencer, that's what I am." Her Instagram account has a relatively modest 50,000 followers. But it's the Chinese language Weibo platform where the action really is, where approaching 200,000 people hang on Ms Qianqian's every eclectic fashion post. She described her look as "edgy, contemporary mixing streetwear with high fashion". There are Chinese influencers with bigger followings, but Ms Qianqian said her fans are based in the major fashion centres of China and are looking for more niche names than the big fashion houses. Welcome to Australia. 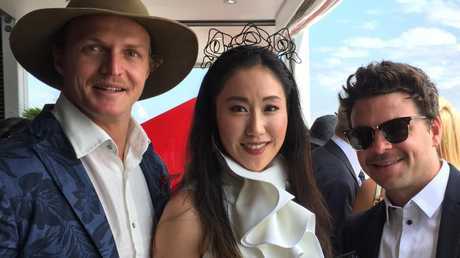 We’re guessing “Jamie” Qianqian Wu (centre) probably hadn’t met Nick “Honey Badger” Cummins (left) before the Melbourne Cup. As well as Toni Maticevski, Australia fashion icons Romancewasborn and Zimmerman and bubbly brand G.H. Mumm brought her down under for her first Melbourne Cup. It was an experience, she said. "I'd been to Royal Ascot in the UK a couple of years ago and I've always been fascinated by the whole tradition and fashion. "But compared to Royal Ascot, the Melbourne Cup was more fun with a much bigger party scene and the demographic was younger, especially round the after parties and the birdcage." The three fashion brands are hoping she will provide a way into the hearts, and wallets, of Chinese consumers. "Australia has a very strong reputation in food and wine. The perception is its got great nature and China is so urbanised, so it's a luxury, but the Australian fashion sector is new and emerging for the Chinese," she said. "My intention to bring an event unfamiliar with Chinese audiences and to showcase some of the contemporary Australian design and fashions to a Chinese market that's largely unaware of them." “Jamie” Qianqian Wu uses Weibo to connect overseas brands with Chinese consumers. There's everything to play for. Chinese consumers spend more than $10 billion annually on luxury goods. Within five years it's expected the country's citizen will buy 40 per cent of all the world's luxury goods. Money for jam then? And yet many international fashion brands have found it tough going cracking the market. Shaun Rein, managing director of China Market Research, said some were schoolboy errors, such as not stocking clothes in the right sizes for Chinese customers. And then there was a misunderstanding about how Chinese people shop: "They'll go out and buy very expensive lipstick but they'll buy the cheapest garbage bags because they don't want to spend money on garbage bags," he told the South China Morning Post. Brands needed to be top end and aspirational - or dirt cheap. The middle market has been a graveyard of well-intentioned global retailers like Marks & Spencer and Macy's that have limped away from China. Ms Qianqian said big brands had also failed to see that the Chinese market was far more segmented now and whereas once it was all about Dior and YSL now people craved smaller, more authentic brands. "I think (western brands) can misunderstand Chinese consumers, especially in fashion. "They felt they didn't need to understand the Chinese consumer because they came in from such a higher place. There is a hint of arrogance for sure and supremacy, but now as Chinese consumers have gained their own identity as to what they perceive as luxury the Western brands, all of a sudden, start to appear a lot less relevant." Nowhere is this starker than the car crash that was the recent Dolce & Gabbana debacle. An advertising campaign that saw a Chinese model struggling to eat pizza with chopsticks peeved many in the country. 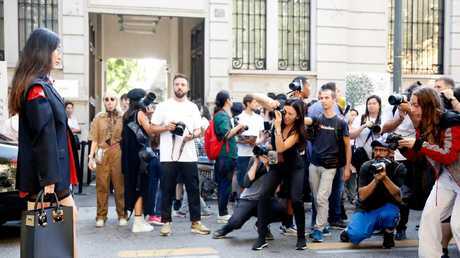 That turned to red hot anger when offensive comments, allegedly from co-founder Stefano Gabbana, found their way onto his personal Instagram account. D & G has claimed Gabbana's account had been hacked but the brand was forced to cancel a high profile Shanghai fashion show. A photo shoot “Jamie” Qianqian Wu did in the Yarra Valley while in Australia last month. "D & G are the epitome of the high fashion house that never really understood a specific culture and in that one campaign they failed miserably. 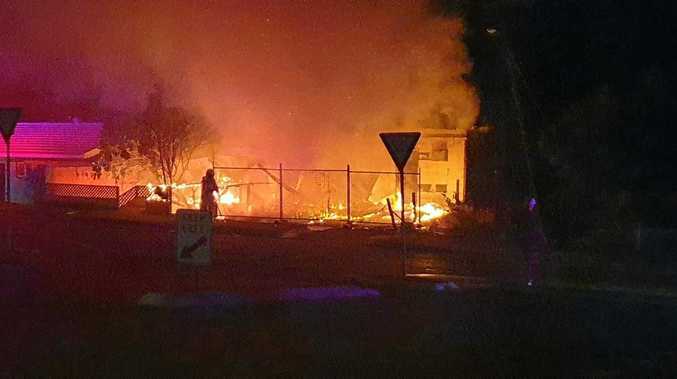 "It was just very shallow and it's just completely missed the mark. Not everyone got offended by the campaign but it was the messages that really offended. It was just dumb, simply dumb." So what's Ms Qianqian's advice for Aussie firms that want to break China? Well, unsurprisingly for a Chinese influencer, she said using a local face can open doors. But she had some more general guidance for budding brands. "Come to China, be on the ground, experience everything from food to culture, watch what Chinese people watch on TV. "But don't impose you perception of what you think the Chinese consumer wants." “Jamie” Qianqian Wu is working with Australian fashion brands Toni Maticevski, Romancewasborn and Zimmerman.